West Seattle is a special place that embodies community. The neighborhood works together in times of need and in times of celebration. Mountain Madness has called West Seattle home since its conception, over 30 years ago. 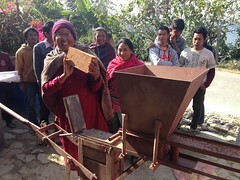 When news spread that an earthquake had hit Nepal, it’s not surprising that the people and businesses of the town joined forces to do their part. The goal was not only to help the people of Nepal, but to stand by some of their own. Fundraiser organizer, Jilyan Perry, has been an active member of the West Seattle community for 10 years and has extensive experience in raising money for a variety of causes. This, coupled with the fact that her boyfriend Stewart Wolfe was co-leader of the Mountain Madness trek to Base Camp when the earthquake struck, inspired her to arrange a fundraiser to help Changing Lives Nepal and the Go Fund Me account set up by Deanna Zabaldo. Procurements for the silent auction came in easily. Alki Bike and Board and Husky Deli made large contributions as well as shared some fantastic stories about Scott Fischer, Mountain Madness founder. In one week, local businesses had donated over $6000 worth of auction items. Local coffee house C&P Coffee Company, eagerly donated their space for the event. Friends of Stewart and Jilyan came out to help in any way that they could by setting up, barbequing food, and even supplying a keg of beer. With multiple musicians lined up to entertain, the fundraiser morphed into a party. On the day of the event roughly 75 people arrived to show their support. Within 3 hours, they had cleared over $4000, and money continued to roll in for days after the event. The grand total raised was just shy of $5000. There is no way this fundraiser could have been so successful if West Seattle wasn’t a community filled with local businesses and loyal people who willing to do anything to help those in need. In August, a local group artists and musicians from Truckee CA organized the Nepal Earthquake Benefit at Art Obsessions Gallery. Art work inspired by Nepal’s earthquake were auctioned live, along with an evening of great food, live music, and silent auction. Venerable Losang Samten, renown Tibetan scholar and former Buddhist monk, opened the event providing a “prayer for Nepal”. He is pictured here with the painting “Survivor” depicting the story of the miracle baby boy who survived for 22 hours in the earthquake rubble. 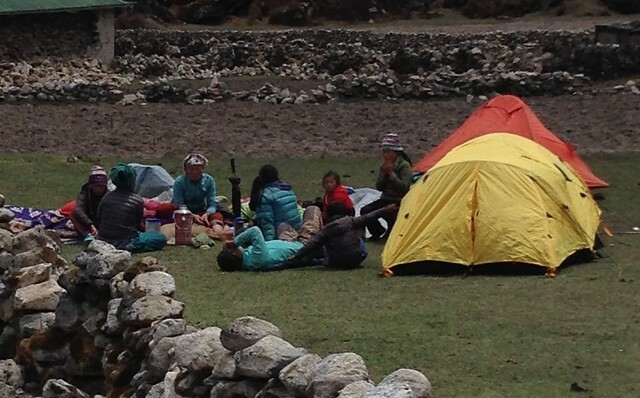 Truckee raised over $4,500 for Changing Lives Nepal. St. Xavier High School, through the leadership of Ron and Michele Stegman, collected over $3,000 for Changing Lives Nepal earthquake relief efforts. Former Peace Corps Volunteer, Anne Schoelwer, hosted a delightful Dal Bhat Relief party in Cincinnati, where she cooked traditional Nepali food and raised $2,000! Trekkers who met and fell in love in Nepal, Jason and Jenn Adelman, hosted a fundraiser at The Feve(their Oberlin, Ohio bar) and raised over $3,800! 0! 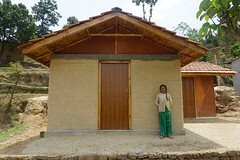 Longtime supporter of Changing Lives Nepal, Alan and Alix Harter provided a second matching grant opportunity through their company Pactolus Private Wealth Management, LLC. Their offer of a $10,000 match for CLN donations came days after April’s earthquake. CLN met the match in August through the many personal donations inspired by the tragic earthquake and generosity of Pactolus doubling their donations.